Mission Manager, Inc. provides cloud-based software designed to help save lives and protect property by enabling first responders to operate more efficiently and effectively. Mission Manager’s team member and asset management capabilities, combined with its calendar and communication functions, allows users to enhance team readiness through optimized training and seamlessly integrate mission-specific operations during real-time events. Over the past three years, Mission Manager has been field tested in more than 7,000 missions ranging from single-person rescues to large public events and full-scale natural disaster response. Mission Manager is currently used in all 50 U.S. states, and on every continent except Antarctica, and is available in 80 languages. 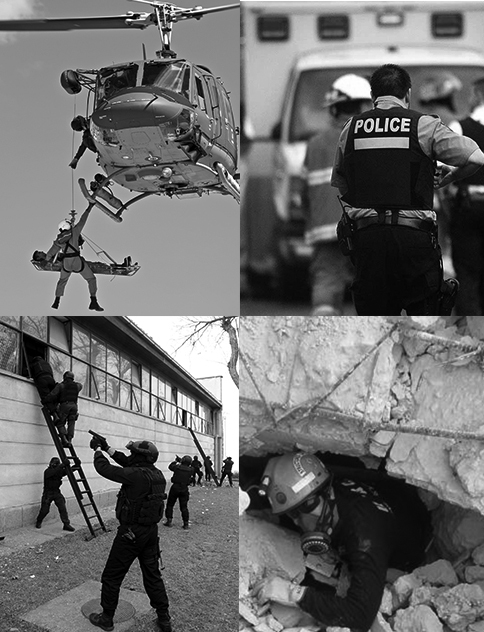 Missions include searches for lost persons and property; public events such as parades, marathons, election security; natural disasters including tornadoes, earthquakes, volcano, flooding and mudslides; law enforcement activities such as warrant service, evidence/suspect searches and traffic control; and rescue/recovery including swift water, technical and helicopter. It has also assisted in saving lives and protecting property in missions involving aircraft accidents, university security, hazmat events, military missions and much more. Developed by a first responder in 2011, Mission Manager was re-launched on July 15th, 2014 with upgrades in infrastructure that significantly enhanced data security, functionality and reliability. Now hosted on Amazon Web Services, our infrastructure meets or exceeds federal and international standards to ensure your data is always safe and available – with an uptime guarantee of 99.9%. In 2016, Mission Manager earned the DT&E SAFETY ACT designation from the Department of Homeland Security, which formally classifies Mission Manager as a Qualified Anti-Terrorism Technology (QATT).